Customer-Focused Selling™ (CFS) is an effective sales training program that provides all the core competencies needed for effective consultative selling, with special emphasis on improvement areas identified by the Selling Skills Assessment Tool™ (SSAT). In a highly interactive, adult learning format, CFS delivers the specific knowledge your team needs to consistently achieve better sales results. The training is designed to be used every day, not memorized. Participants come away from the workshop ready to apply the new learning to their own customers and prospects. selling from the other person’s perspective. 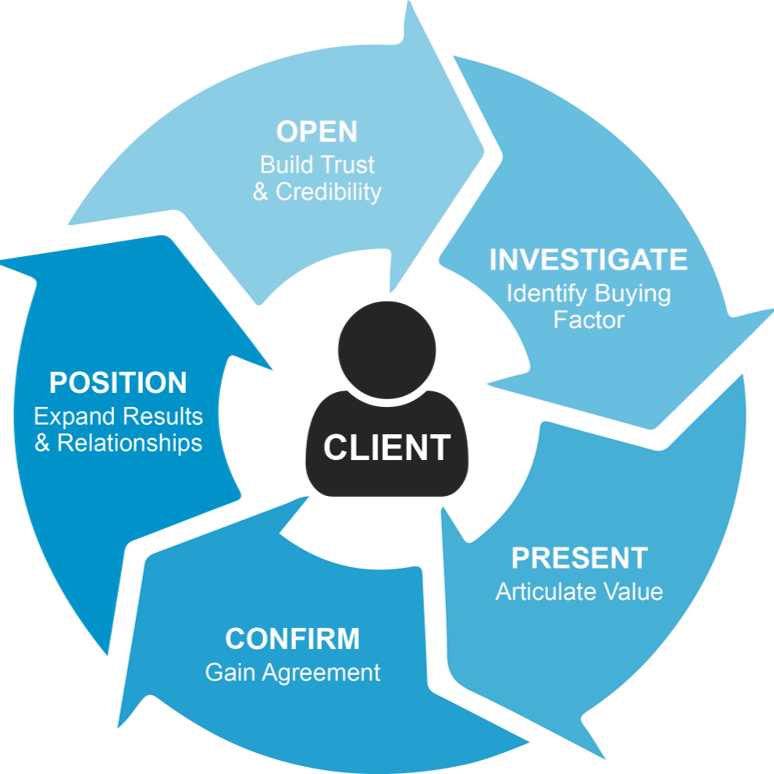 OPEN: How to build trust and credibility through managing client expectation. INVESTIGATE: How to accurately asses the situation and uncover client needs. PRESENT: How to tie your capabilities to the client situation. CONFIRM: How to gain agreement and win business. POSITION: How to build long-term customers for life. In order to progress your sales team and surpass your targets, you need to start with a clear look at where you are today.